Replacement Fast Flow Filter to fit the Fill2Pure Counter Top Tap Water Filter. Instantly filters up to 99.99% of contaminants from water. Replacement Fill2Pure Fast Flow Filter to fit the Fill2Pure Counter Top Tap filter (no longer made or stocked). Filters are for current customers with a Fill2Pure Countertop only. 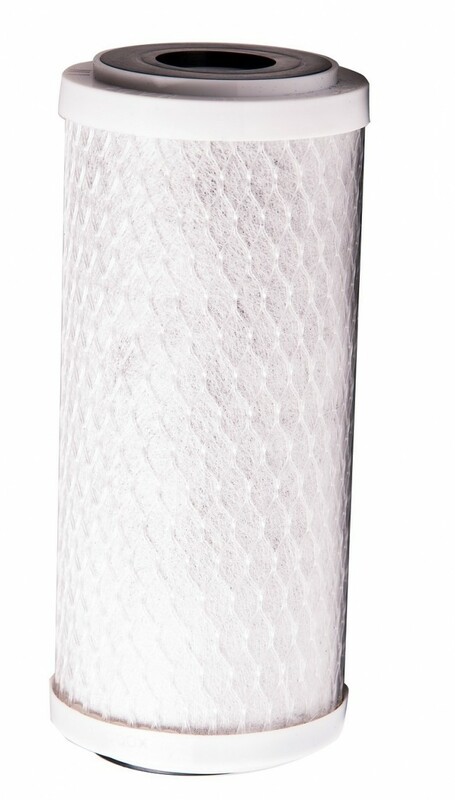 Absolute 0.1 micron filter instantly removes up to 99.99% of contaminants from water. Each filter provides at least 10,000 litres of clean, safe, filtered water, at just 1c per litre. Each filter will last 10,000 litre capacity, the time period for this depends on how many litres you use. An appoximate time period may be 12 months for some households or longer or shorter for others. There is no need to count the litres, our filters will not expire, but the flow will go slower and slower when it is time to change the filter. Anything that comes through is safe. We remove the same amount of contaminants at the end of the filter life as we do at the beginning. The size of the replacement filter is 16.5cm high by 7cm wide. Our replacement filter only fits the Fill2Pure Countertop unit we sell, no other brands. Q: How do I install the new filter into my bench-top filter system? A: First you should use the white levering tool that came with your bench-top filter system to remove the chrome casing that seals the bench-top filter unit. Be careful to do this over a sink as there will be water within the filter housing as you remove it. Then simply remove the used filter cartridge and replace it with the new filter. Replace the chrome cover, taking care to ensure the O ring that provides the seal at the base of the filter system is in the correct position. Once the chrome casing has been hand tightened, use the white levering tool to tighten the chrome casing until it is completely tight. With the unit now fully reassembled you should run the filter system for 3-5 minutes in order to fully drench the new filter before using. Q: How do I know when my filter needs changing? A: Eventually the water coming through your filter system will become more and more diminished as the filter cartridge becomes clogged with contaminants. All water that comes through the filter will be pure, but when it is taking too long to filter water efficiently you should consider replacing the filter. Q: How much will the replacement filter cost per litre? A: The bench-top system is an extremely efficient way to get pure filtered water. It will cost you approximately 0.01c per litre.